"Having Denise's help has been so positive for me. She is a competent & caring professional." "Excellent work ethic and time management skills! I can't thank you enough for finally organizing my home office, email accounts and numerous calendars. I no longer spend my morning sifting through junk." 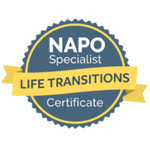 "Such a great feeling to come into my office and know I can go right to work without worrying about the tedious tasks of running my business. I should've done this year's ago!" 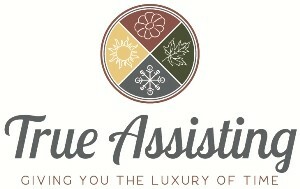 "I have known Denise True of True Assisting for over twenty years. During that time she has shown herself to be consistently helpful. She has organized my office, established a filing system to bring order out of chaos, and continues to keep me on top of things. Without her, my orderly life would revert to the chaos it was before I met her. 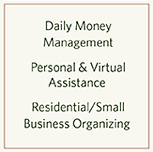 I cannot recommend her highly enough, she performs her tasks with attention to detail and unfailing good humor."